Entrance to the Historic Wing of the Hotel Metropole. 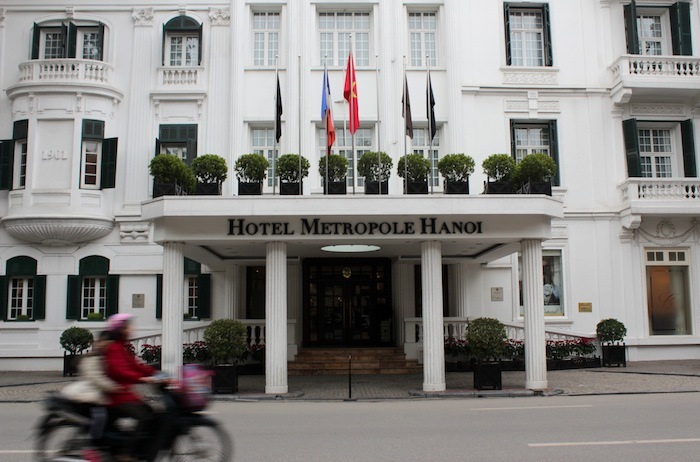 In Hanoi, I stayed at the legendary Hotel Metropole, now known as the Sofitel Legend Metropole Hotel. This hotel was very special to me. Because it was here, three years ago, just past midnight on New Year’s Day 2010, that I conceived of the idea of embarking on a Grand Tour of Southeast Asia, should I ever return from London and New York, where I was moving to at the time. Three years later, I returned to find out that nothing had changed. Well, almost nothing. 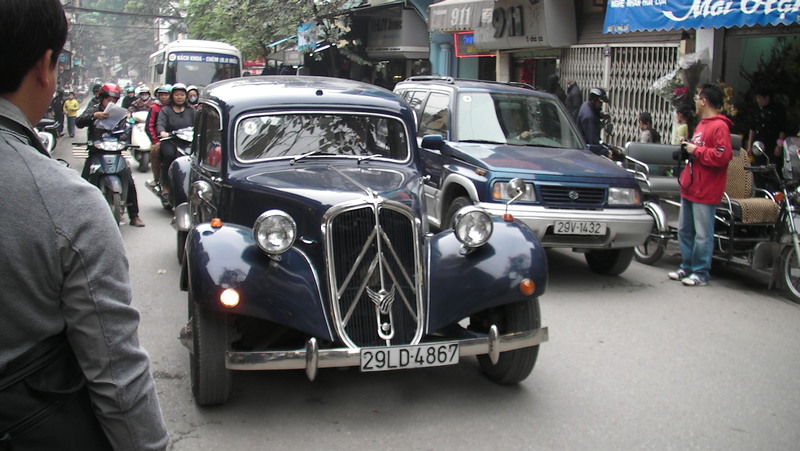 During my first stay, I had ordered a tour of the city in one of the Hotel’s 1950s Citroens. The driver that time, was still a driver this time. And then there was the Manageress at the hotel’s Bar Restaurant, Le Club, who was still the very same person. She didn’t remember me of course. But I remembered her, because of her infinite hospitality. The Hotel itself also continued its tradition of lighting itself up every evening with thousands of fairy lights, so that it always felt like Christmas, when one sits having one’s glass of wine at the bar. It was a magical experience. Driving through the old Town in the hotel’s 1950s Citroen, 2010. 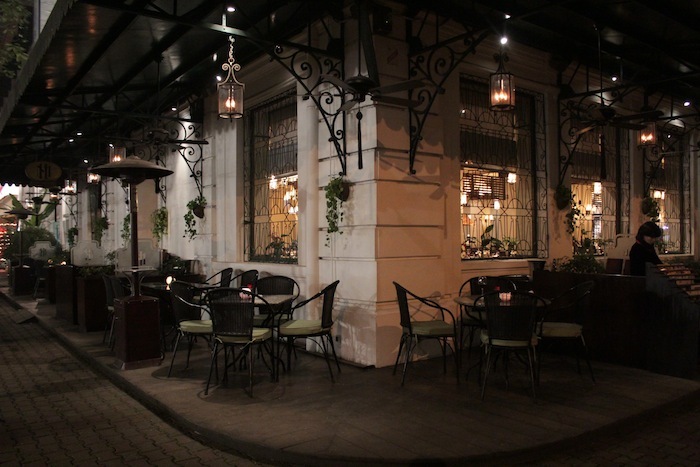 La Terrasse, in the evening. 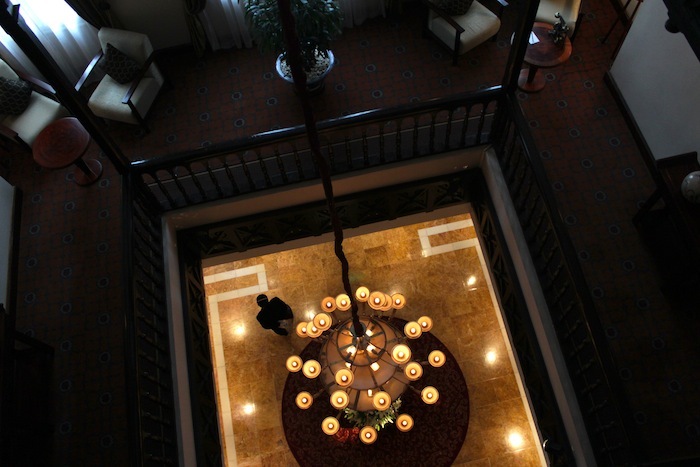 View down from the second floor to the hotel’s lobby and iconic chandlier. 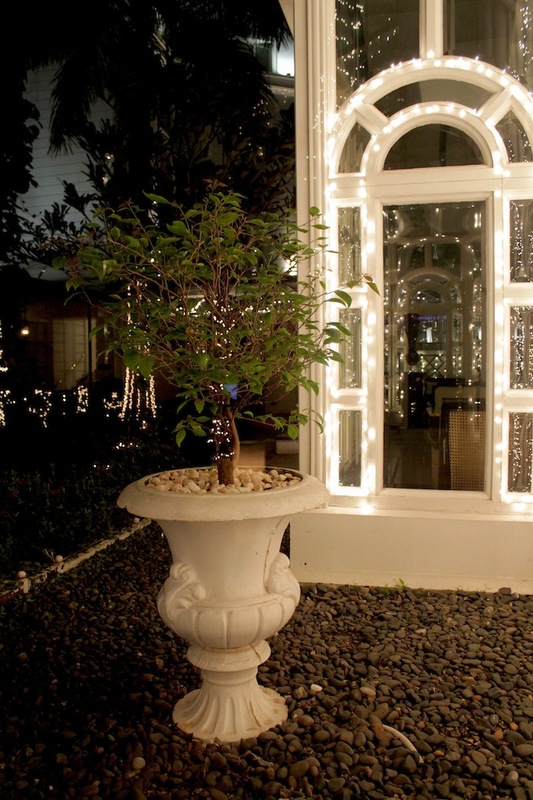 Exterior view of the l’Orangerie at night. Gallery | This entry was posted in Art & Architecture, Cities & Regions, Culture & Lifestyle, Landmarks & History, Literature & Philosophy, Photography, Travel & Mobility and tagged Hanoi, Hotel Metropole, The Grand Tour, The Grand Tour of Southeast Asia, The Sofitel Metropole, Vietnam. Bookmark the permalink.